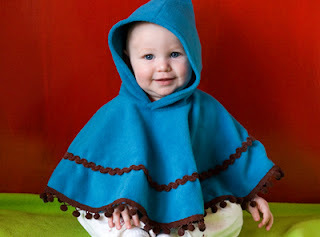 We won an awesome poncho from MothersClick, isn't it super cute? The poncho is made by Skipping Hippos, a mom-run business based in San Francisco where it is probably a bit cooler than it is here at this time of year. Here is my other favorite color combination, called Sabine- 10% of all proceeds on this style will benefit the Kim Family Fund. Very cute! I love them - kids are really cute too.